Playing along with Less Is More this week, CASEing Susan's card in honor of her birthday. I'm loving this little penguin these days, so I had to feature him on this card. I used the Small Circle Burst from Memorybox and the sentiment die from STAMPlorations. I added a little bling with Wink of Stella and liquid crystals. Love your design. Thanks for sharing at Less is More! So cute. Love the bold red sentiment. 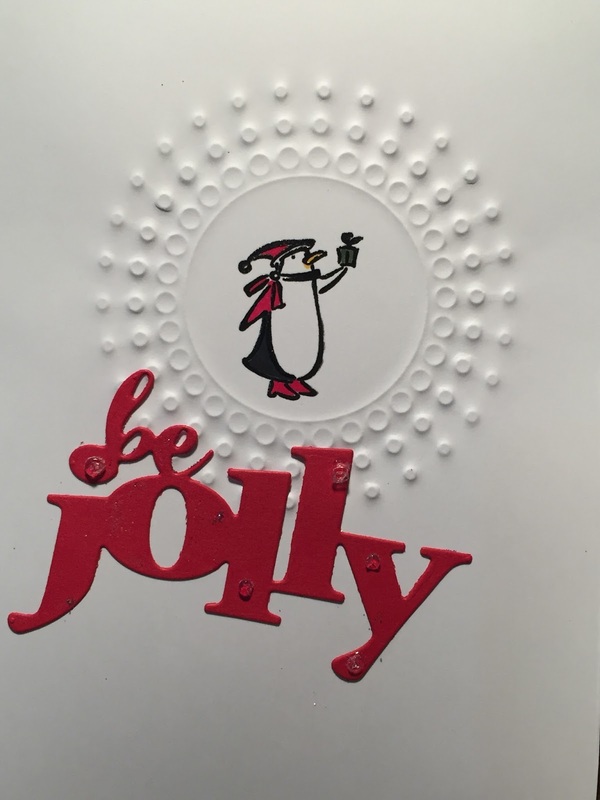 The embossed circle is a fabulous touch to highlight that adorable penguin. Thank you for joining us this week at Less is More. 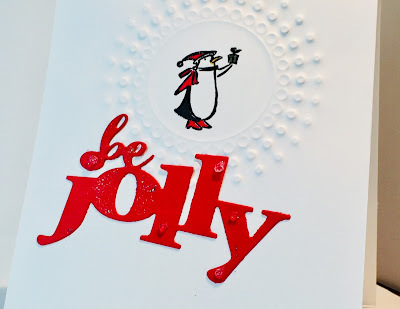 Love the embossed circle design to frame your cute penguin. A lovely case of Susan's card.